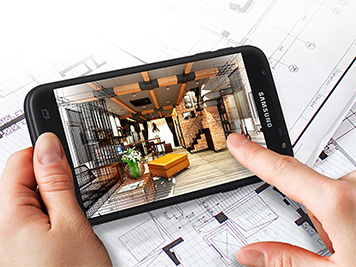 Capture life at its best with the Samsung Galaxy J3 (2017)'s 13-megapixel camera. Banish blurry images and store all your photos, music and videos with the 256GB expandable memory. Snap crisp and clear pictures with the 13-megapixel rear camera, and take selfies to the next level with the 5-megapixel front camera. 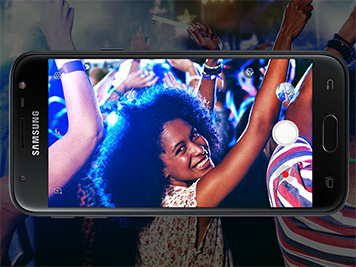 Activate the camera with a simple swipe, and choose the Wide Selfie Mode to have all your friends in one picture. 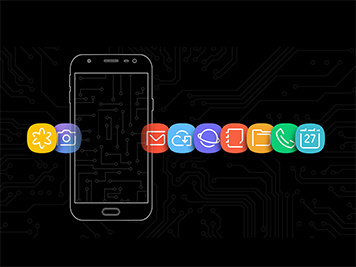 The Galaxy J3 (2017)'s more efficient battery keeps you powered when you're on the go. Its clever dual messenger lets you keep your work and private IMs separate. And with up to 256GB expandable memory, there's more room for photos, videos and music. 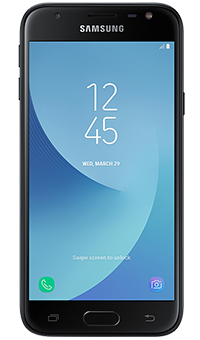 The Galaxy J3 has clean lines and soft curves that offer a minimalist and modern look. The 2.5D glass gives it a polished finish that's both sturdy and seamless, while the curved back offers a more comfortable grip.